To begin with I should probably say that I really enjoyed Captain America: The Winter Soldier. It was a lot of fun, well-paced and acted. I enjoyed that it was topical without being too convoluted, and actually succeeded in making me like a Marvel character I have been making fun of for decades, The Falcon. In fact, as much as I enjoyed The Avengers (which was the first superhero comic book movie that I unequivocally loved­—not to say it was perfect, but the enjoyment of watching it delayed most of my critiques until after it was over), I would say that the Captain America sequel is the best Marvel movie… which is really crazy because I generally feel pretty conflicted about Captain America and the ideals he purportedly represents. All that being said, the political subtext of the movie (if you can call it subtext, and I think Chris Galaver is right when he claims that the movie really lays its politics right out there) is a liberal fantasy at its most decadent and self-congratulatory. It is a story about fighting “the Man” and winning, rather than conservative fantasies, like Olympus Has Fallen, which imagine protecting an exceptional and righteous America from dangerous interlopers. No, this kind of film is all about feeling good about the ideals of America and the misguided (but perhaps well-intentioned) acts of those in power to protect those ideals, but undermining them in the process, thus leaving us vulnerable to some enemy that just “hates our freedom.” In other words, the difference is an aesthetic one. Either way, the resolution cements a hegemonic framework that might have room for different views of what makes America exceptional, without actually challenging that exceptionalism. Let’s take an example from the first Captain America film (well, not the first first, but the first of the recent spate of Marvel movies), Captain America: The First Avenger—a film that had a great first half and a terrible second half. 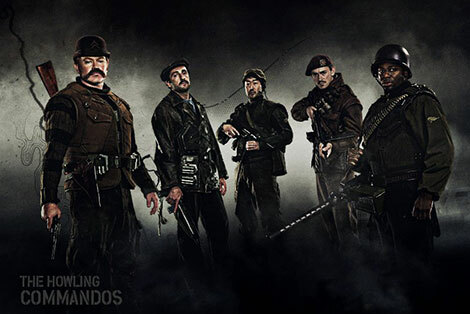 In it, after Captain America rescues a bunch of Allied soldiers from a HYDRA base, he forms his multi-cultural Howling Commandos. The problem, of course, is that during World War II, the U.S. army was segregated. Even if Hydra held different units as prisoners on the base, the fact that the team he forms ignores U.S. military policy would have been glaring. Rather than take the 30 seconds it would have required to make Captain America into the progressive beacon of equality he is supposed to be by having the make-up of his team challenged and his insisting on having a racially mixed team, the film and thus the audience can conveniently ignore the racist context in which black soldiers were required to fight for the freedom of others (and I will leave aside the fact that that old platitude regarding the reason we fought the Nazis is dubious as well). It was really a missed opportunity to make this superhero resonate with what are ostensibly forward-looking American values. Instead, it is just another example of the appearance of equality being more valuable than its reality, which would require unflinching examination of the institutions that structure the hierarchies of our society. Captain America should have been a whole-hearted supporter of the Double-V campaign. So that brings us to the main conflict in Captain America: The Winter Soldier. It is the classic example of the movie that likes to pretend that we can challenge systems of power without addressing the underlying cause that perpetuates injustice, inequality and the ceding our rights to a corporatist oligarchy. This is exacerbated by its enactment of the old myth that individuals can change things through solitary action. So, for example instead of Rosa Parks, engaged political activist making a stand by sitting as part of a concerted and organized effort by people to address their lack of rights, we get the story of Rosa Parks just being tired one day and not “taking it anymore” and inspiring people. Mythologically speaking, in the frequent tension between the idea of individualism as a virtue and collective action as an effective political force, the story of the lone morally strong figure tends to win out. And hey, mythology is important! But it is not enough. People who emulate the lone moral figure end up isolated and exiled in Russia like Edward Snowden, or in prison at Leavenworth, like Chelsea Manning, while the rest of use wonder if their actions will make a difference. Hint: They won’t. The reason I call the film a liberal fantasy is because it allows the viewers the opportunity to believe in the power of the individual acting alone (or with a handful of like-minded renegade buddies) to, through force of their moral rectitude, steer the ship of state towards its professed ideals without ever really challenging the institutions that allow for those situations to arise to begin with, because to challenge those institutions is to 1) admit that the professed values of our institutions are actually at odds with the reality of what they are designed to accomplish, and 2) the fundamental changes required of them would undermine the comfort provided by the fantasy of a virtuous middle-class ethic at the heart of our country. Let me be clear. The reason Hydra could hide in SHIELD is because ultimately no matter what hairs are split, there is no difference between them. The fact that at the end of the film, SHIELD is disbanded may seem to suggest that the film’s critique is making the same suggestion, but even that reading is undermined by the history of SHIELD in comics, the continuance of SHIELD as the heroes of the current ABC television show and most of all by the scene at the end of the film of Maria Hill entering the private sector, where the dangers of unfettered power emerges. When I saw those giant helicarrier drone things in the Captain Americas sequel, I couldn’t help but think about who built them and how they were paid for. Much like Edward Said pointing out that the plots that emerge from the activities aristocratic leisure class in Jane Austen’s Mansfield Park are only possible through a tacit acceptance of slave labor and colonial power in the Caribbean in his seminal post-colonial work Culture and Imperialism (1993), I thought about how those liberals who might generally be against militarization of our domestic law enforcement agencies and the expansion of dubiously ethical intelligence-gathering into “the homeland,” nevertheless see no contradiction in the use of our military abroad and casting a wide network of spies. In other words, they might object to a fleet of drone craft in domestic skies, but the same corporate industrial forces are building similar death machines for use against other human beings. Captain America conveniently allows the outrage over the threat of those machine and the policies they engender to “our” (i.e. American) freedom, without considering how their use abroad threatens the lives and freedoms of others in ways that not only lead to ethical questions regarding building them, but direct and practical concerns about how the flagrant flaunting of American military power with apparent impunity also threatens domestic peace—sometimes simultaneously as targeted drone strikes are made against American citizen abroad without recourse to due process and the subsequent legal disagreement is about the government’s responsibility to disclose its reasons for doing so rather than the actual legality of the act. Furthermore, those same corporate forces that profit from sale and development of military technology work towards undermining the rights of labor right here. Workers build bombs to fatten the wallets of people who profit from killing people like their workers in other nations. 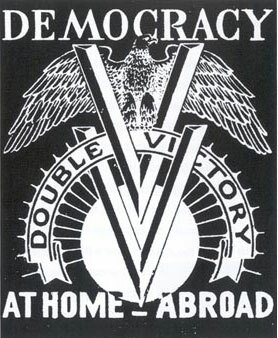 What really remains unquestioned in any kind of sustained and rigorous ways (except in academia and other marginalized portions of our society), are the systems of capital that make the building of such machines so profitable that those that profit from their building can influence our purported democracy as to maintain policies that favor their continued use and further development. In this way, Captain America: The Winter Soldier is a part of ideological state apparatus that operates as a pressure value to let off some steam through affective engagement with a narrative that seems to support an attitude of resistance to the powers that be. We, as viewers, can identify with the rebellious forces and feel good about that, while still supporting a dude named “Captain America” of all things, and feel little to no contradiction about it. And it works. I mean, to the degree that I am still capable of feeling any form of nationalist pride in the myths of “America” I felt them while listening to Steve Rogers make his little speeches and refuse to give into the mercenary vision of the world that is essentially always already a form of defeat. Anyone who knows me, knows my hatred of all that jingoistic mythological bullcrap that seeks to value some lives over others just by virtue of where they happen to be born­—except of course, in cases like Anwar al-Awlaki, when it doesn’t—so if I felt it I can imagine the feelings of those already prone to feel that way. 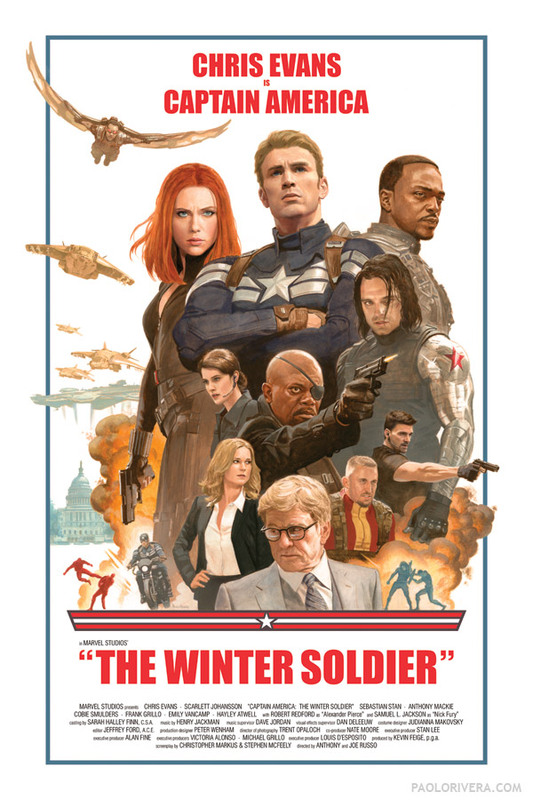 Captain America: The Winter Soldier is a victory for the culture industry that Adorno and Horkheimer warned us about, cheering ideals that provide the enjoyment of an illusion of freedom, while reinforcing our support for a system that seeks to keep us in line for the profit of others. The liberal fantasy is the ability to divorce systems of capital from systems of oppression for the sake of continuing to enjoy the luxuries our declining empire affords us, like multi-million dollar movie blockbusters—pretending that choosing our own “freedom” is a universal good that helps the whole world progress towards an enlightened liberal democratic utopia. Nail, meet hammer. That’s how I felt about it as well, and I also loved the movie. It is fun. Did you see where they put Hugo Chavez with dictators? I had forgotten about that until just this moment, but yeah.. . I did and shook my head at it. I watched your review and mostly agree with it (though I don’t happen to know anyone who actually thinks CA:TWS was a “dark and deep” movie). I will, say however, that this movie was MUCH better than any of the Nolan Batman movies, which I found (w/ the exception of Ledger’s Joker performance) to be pretty craptastic and forgettable.